No, really. I like bracelets (although I really don’t wear them because they get in the way of me typing) but just can’t seem to make them right. I either make them too short or too long. They never lay right. 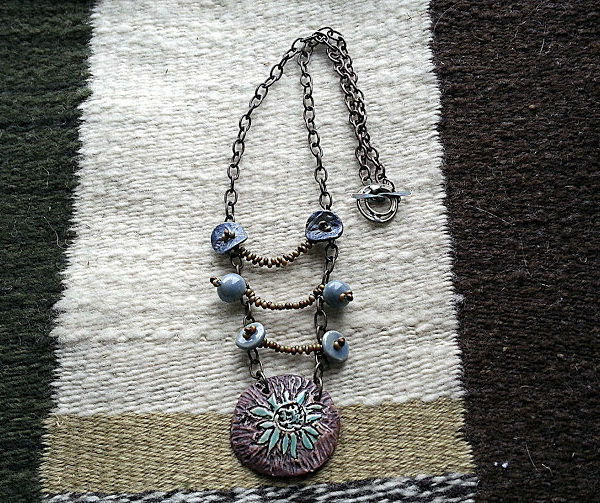 But people love them so as a jewelry designer I really should have this talent in my bag of tricks. Then I found out that Tracy Statler of the MakeBracelets blog is hosting a hop on Saturday, April 21st called “Wrapped, Stacked & Layered” I knew that I had to do this as a personal challenge to myself. There are over 80 participants in this hop. The only rules are that you have to photograph a stack of bangles, on your arm, a willing model’s arm, or around a bracelet holder or a bottle. You are encouraged to mix in what you have with some new ones. This picks up on the trend to stack loads of bracelets of various types that are popular on the runways and in fashion magazines. My plan was to use up whatever I could, keep to color themes with each group and include one art bead in each stack. You can tune into my blog on Saturday, April 21st to see if I can pull it off! In the meantime, I thought you might like to see some inspiration that has helped me along the way. One of my favorite blogs and Etsy sites to haunt is fancifuldevices. 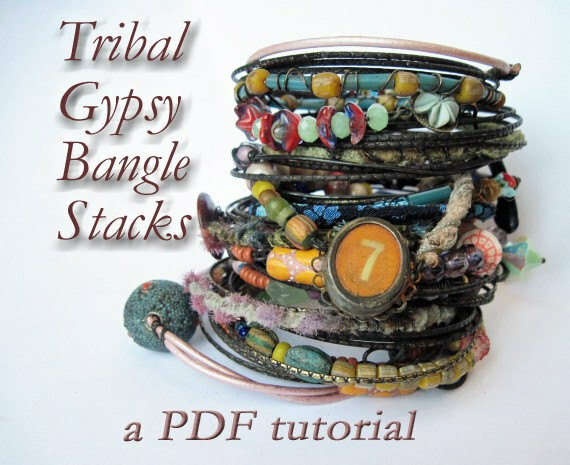 While looking for some bangle inspiration I came across a tutorial that fancifuldevices created all about making Tribal Gypsy Bangles. Those are so sweet! That worked to my advantage (being that I am wrist-challenged and all and in a desperate need for inspiration) and I signed up right away! It is full of great ideas. What I love about fanciful is that she is so willing to share her knowledge. She encourages copying to learn, but then work to make it your own. I am doing my own twist on her gypsy bangles. It truly inspired me! I would highly recommend this tutorial. 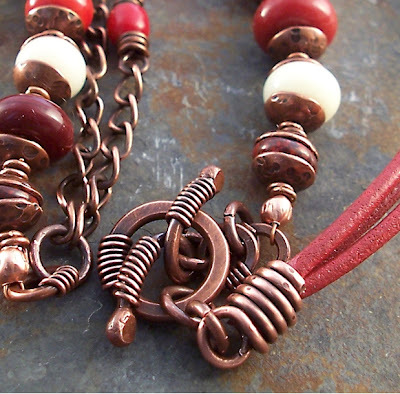 Also, check out this awesome tutorial from Cerebral Dilettante on how to add a handmade coiled crimp end to your corded creations. I am going to try this! Be sure to come on over to the MakeBracelets blog on Saturday to see all the arm candy from around the world and maybe you will get inspired to get your bangle on! 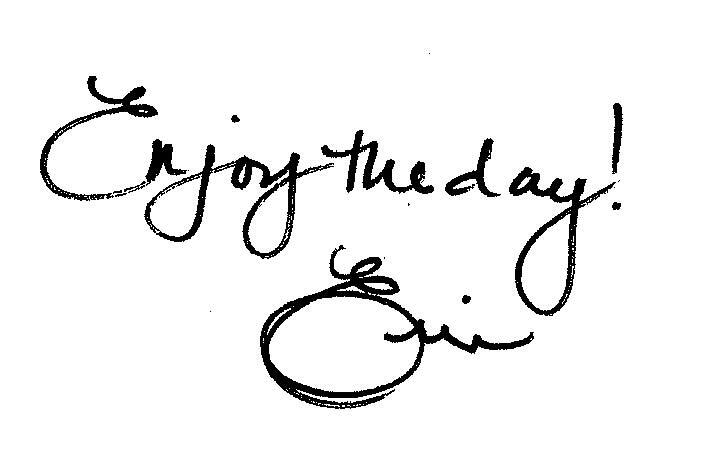 Erin Prais-Hintz invites you to go on a journey of inspiration at her blog Treasures Found :: Inspiration is Everywhere. You can view a gallery of her work at http://www.tesoritrovati.com/ or purchase her new line of ‘Simple Truths’ in her Etsy shop. Cool tutorial – thanks so much for sharing it. I'm looking forward to the bracelet challenge, too. I had a terrible time getting pics of my bracelets on my wrist! LOL!! I have no doubt you can do anything you set your mind to. I purchased fanciful's bangle tutorial but haven't had the time to do anything more than scan through it. I am exicted about the blog hop, but a busy weekend will make me wait until Monday to see what everyone makes. I'm part of the 80 participating in the hop, so I will see you on Saturday. I can not wait to see what you and the others have created. Somehow I completely missed the call for this blog hop. I'm absolutely on edge ready to start it. . .probably this afternoon after a crawfish boil I'm heading off to in a few minutes. I have issues with bracelets too. I also purchased the fanciful devices tutorial as soon as she offered it, but haven't made myself sit down and start on the process. This hop would have been the perfect opportunity. Oh well, I guess we can't join EVERY challenge/blog hop out there EVERY time. I'm looking forward to seeing what you create! !